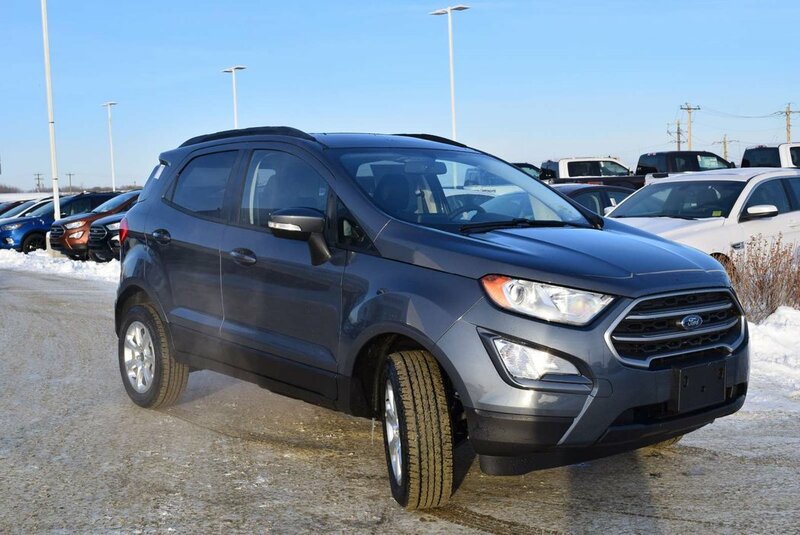 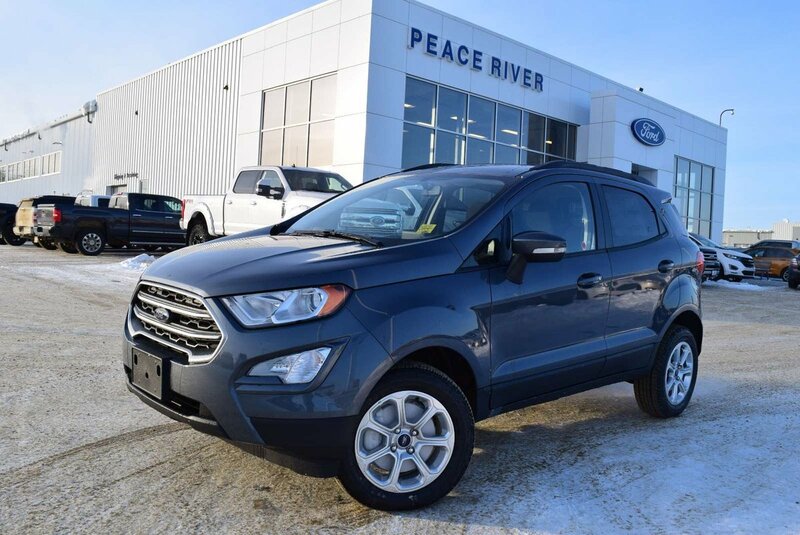 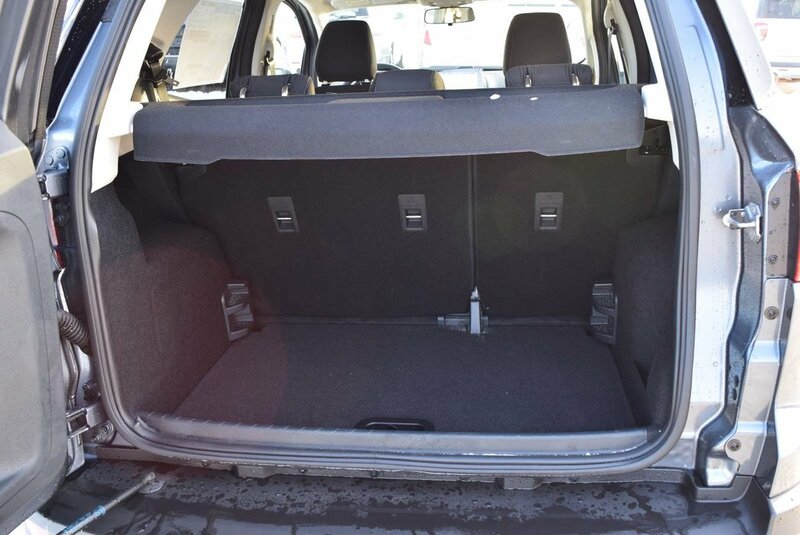 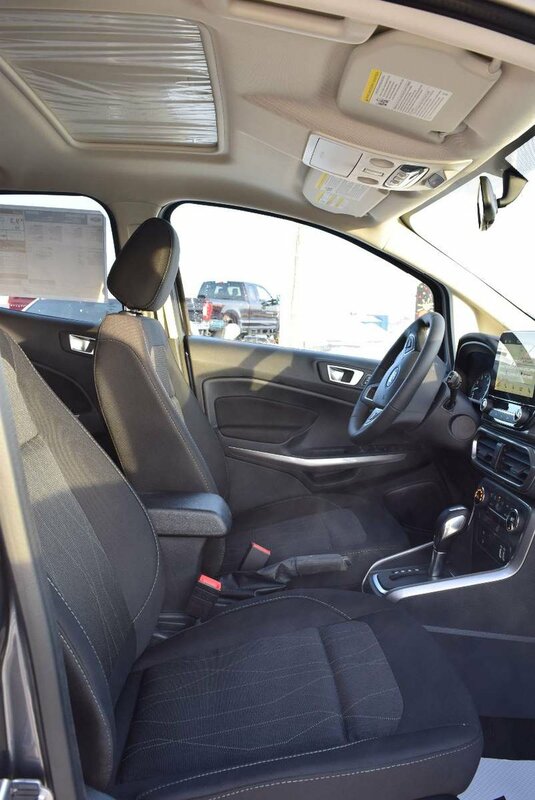 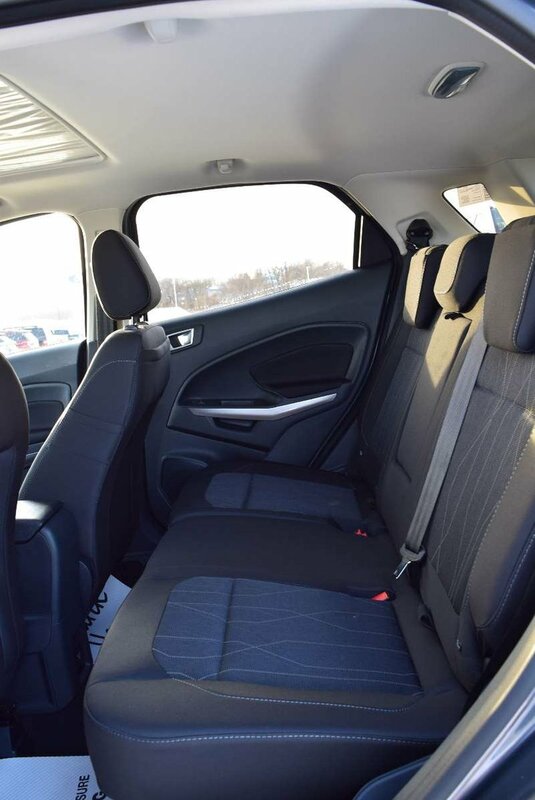 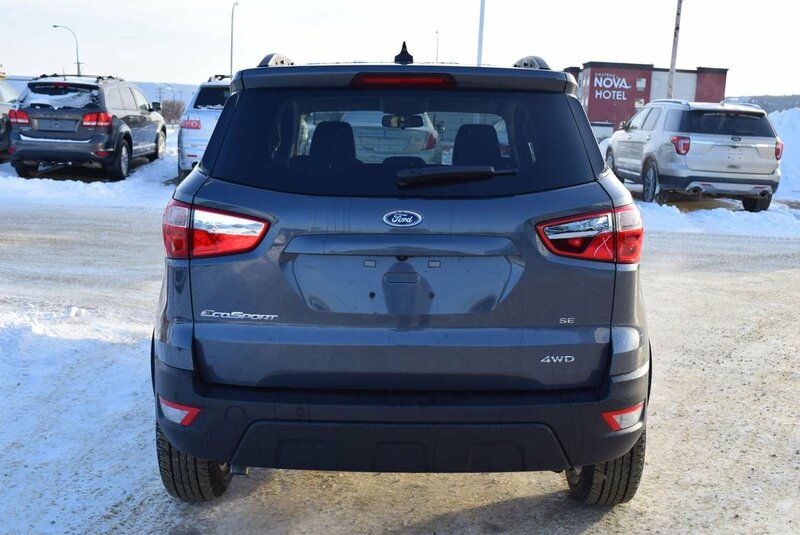 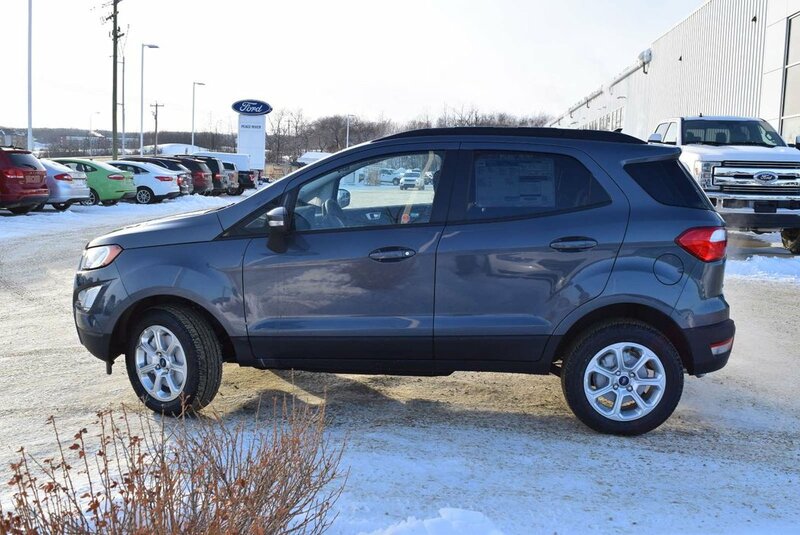 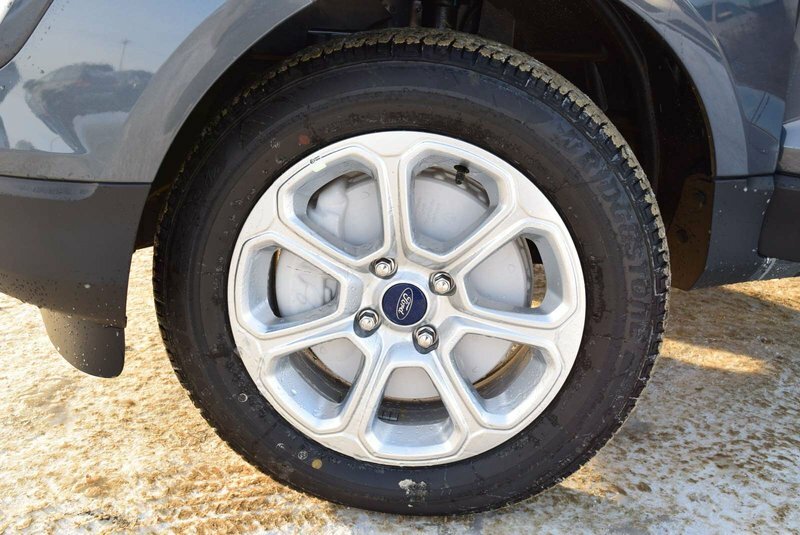 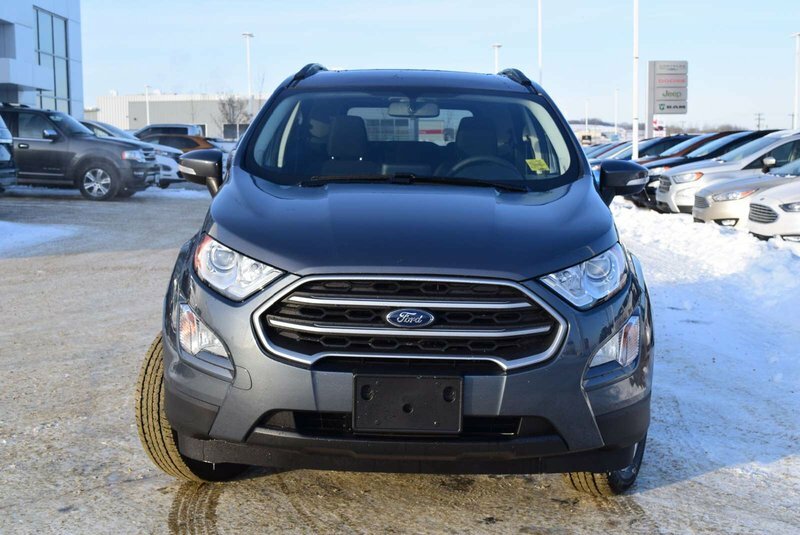 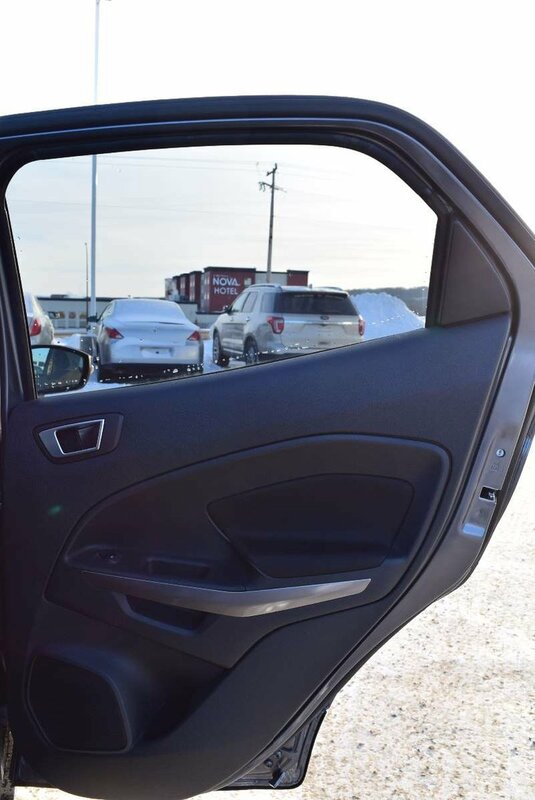 Stylish, smart and adventurous, our 2019 Ford EcoSport SE 4WD is brought to you in Smoke Metallic! 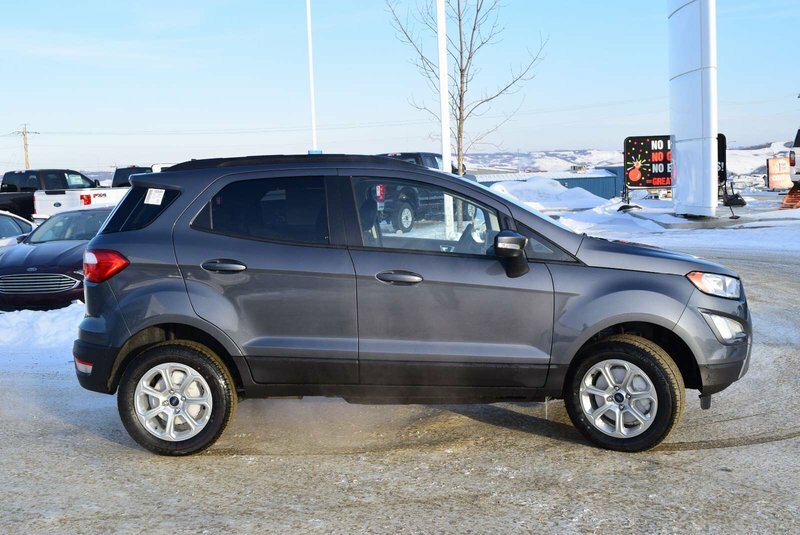 Powered by a 2.0 Litre 4 Cylinder that delivers 166hp while matched to a 6 Speed SelectShift Automatic transmission for smooth shifts. 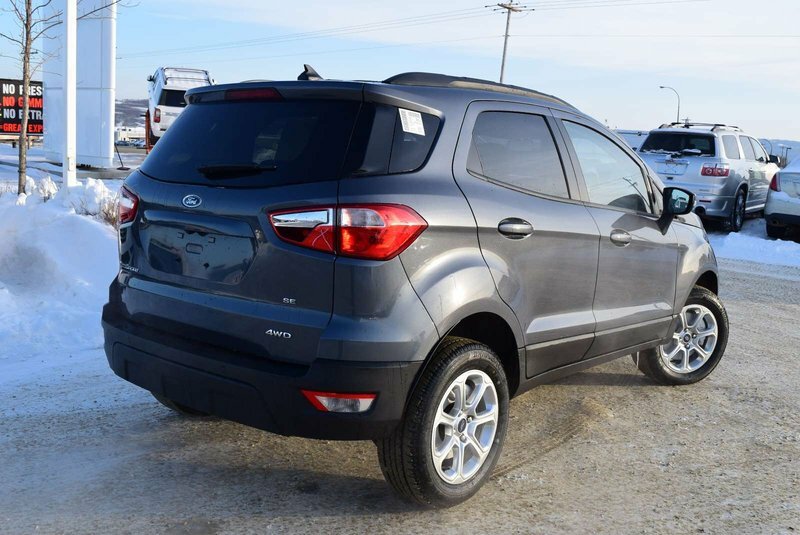 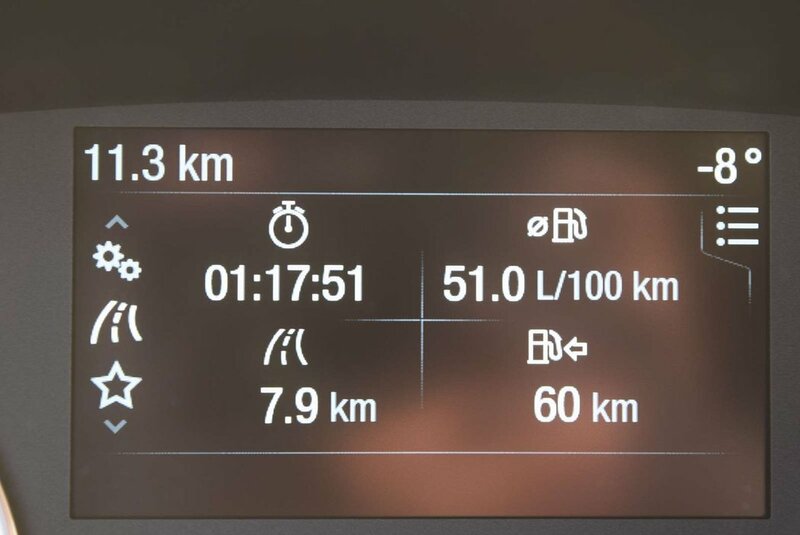 This Four Wheel Drive SUV delivers a comfortable ride with car-like handling, and easy maneuverability plus offers near 8.1 L/100km. 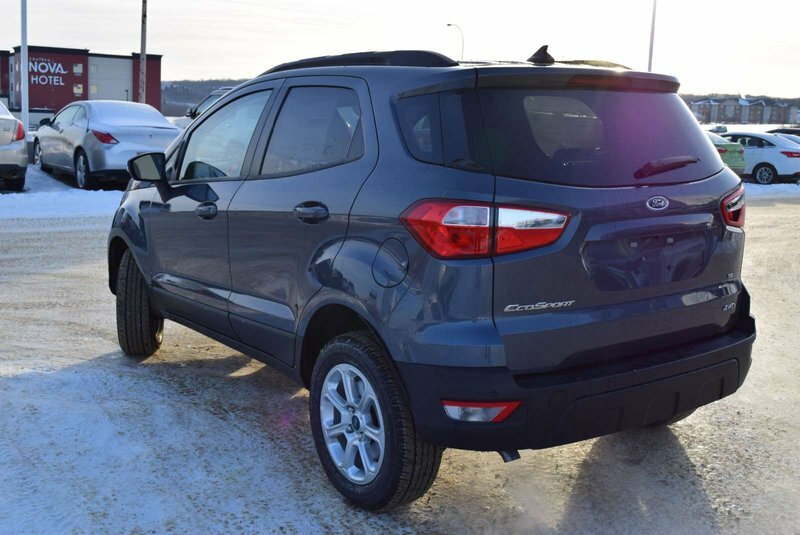 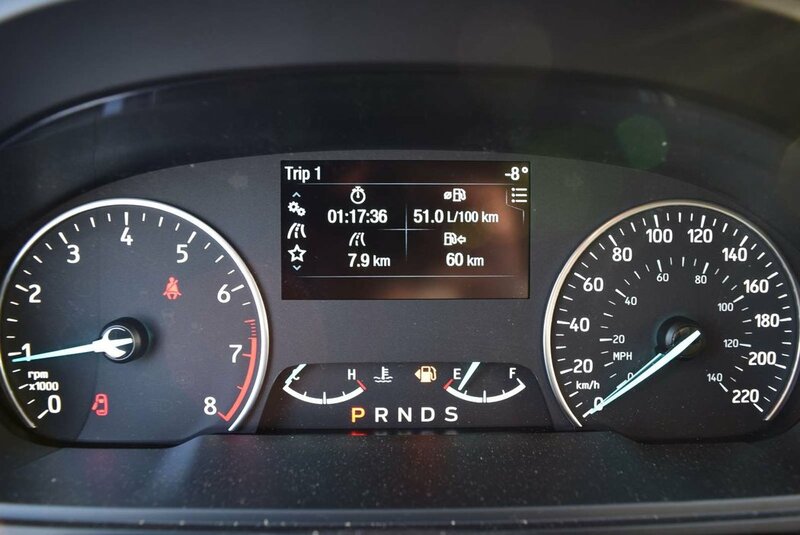 Our EcoSport is sophisticated with a European-influenced style that is complemented by beautiful alloy wheels, unique quad-beam reflector headlights and LED tail lamps all designed to make you look good! 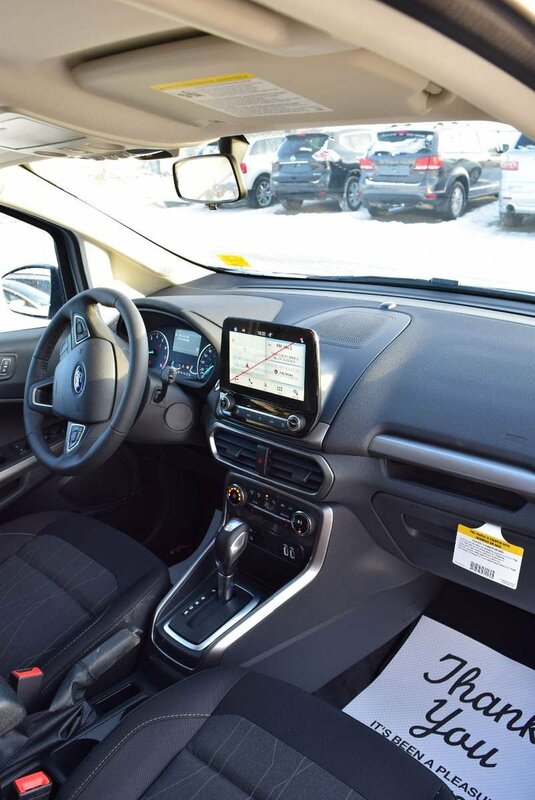 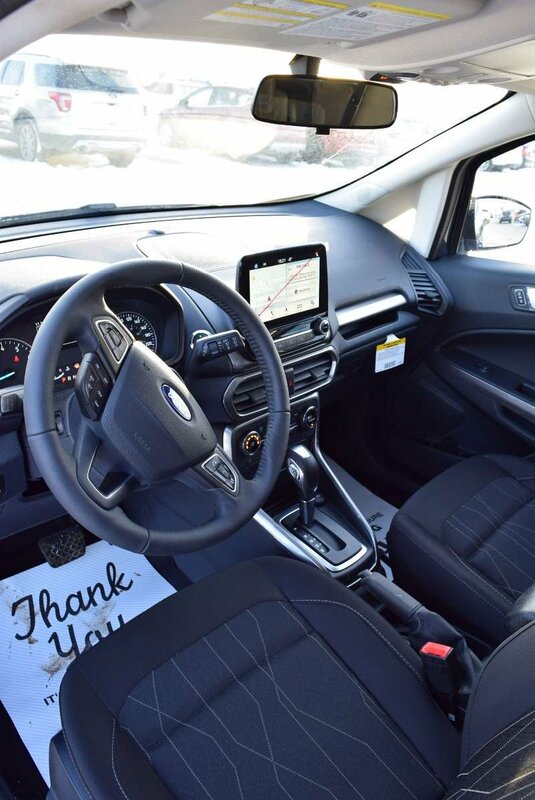 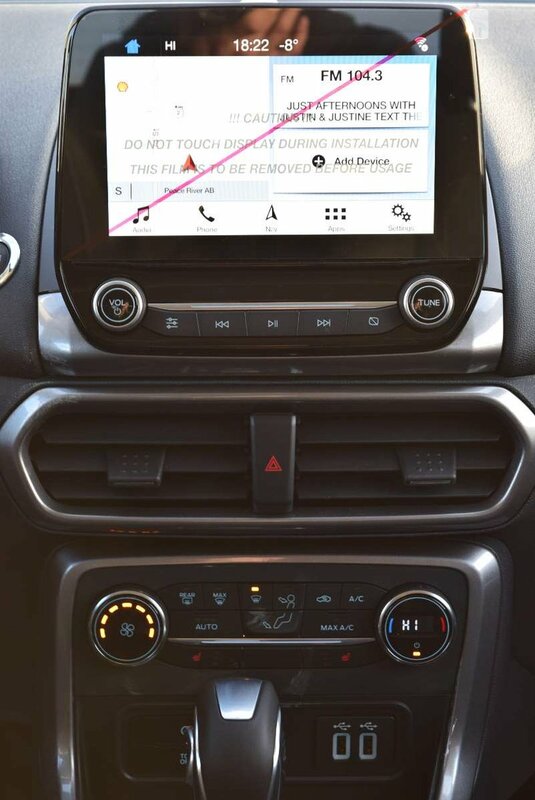 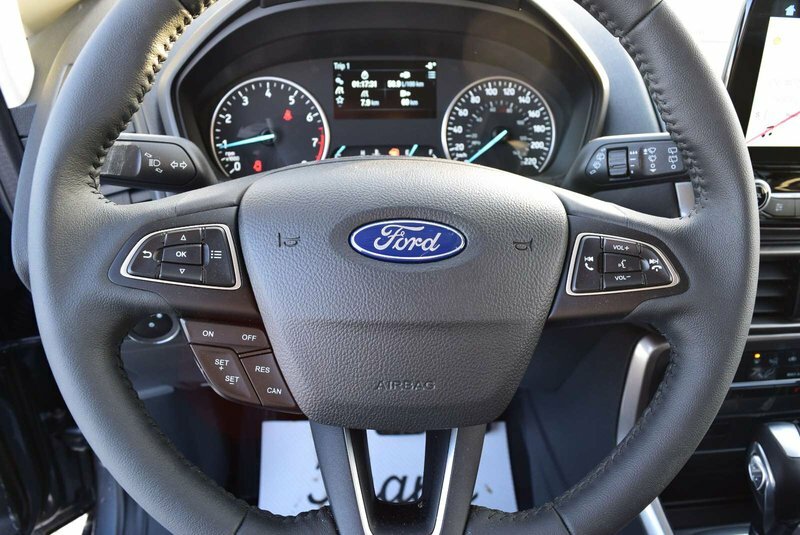 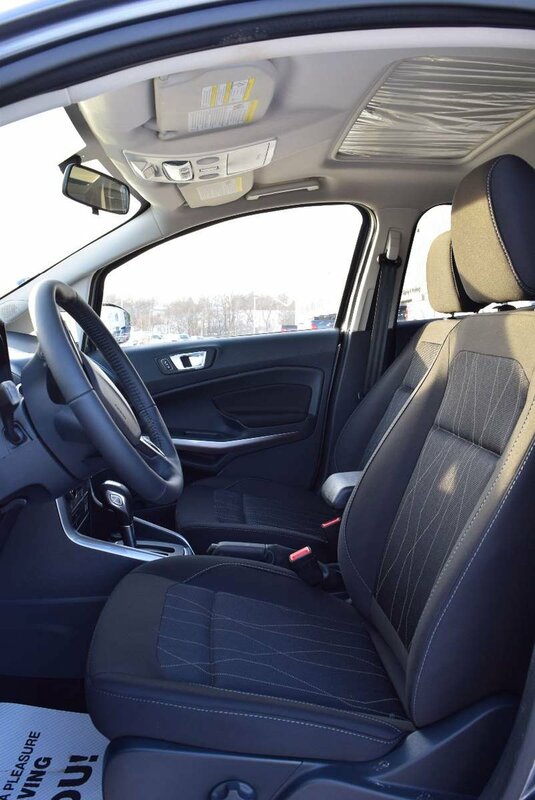 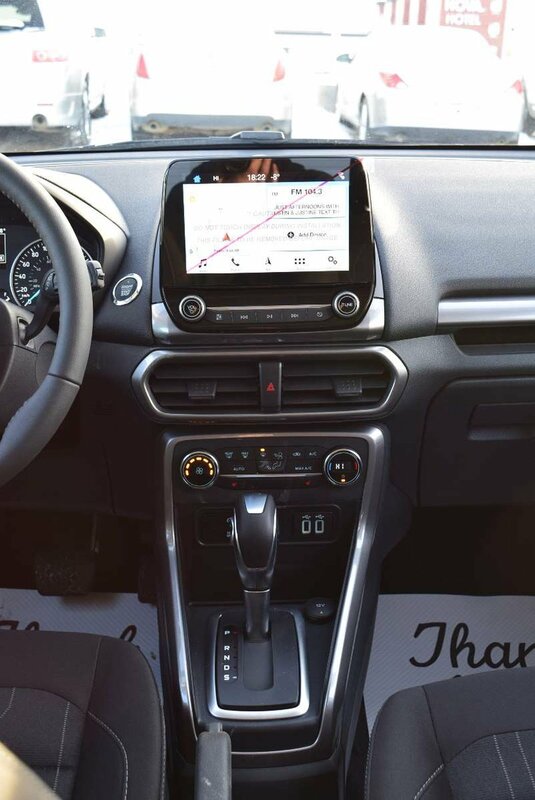 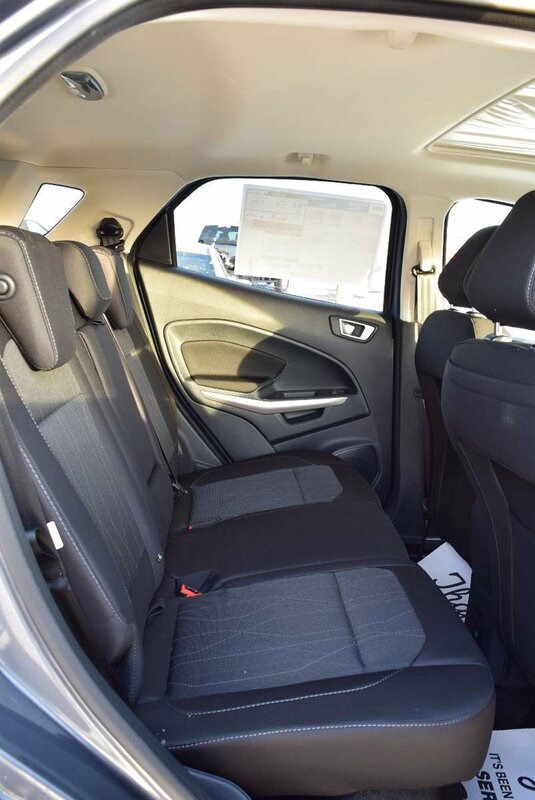 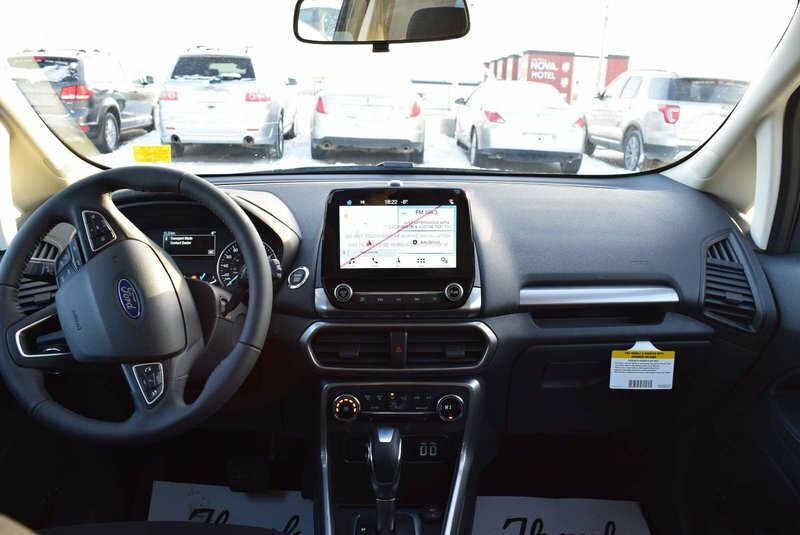 Inside our EcoSport SE trimmed interior, find a modern design featuring Microsoft SYNC with easy-to-use in-car connectivity system that lets you make hands-free calls with Bluetooth. 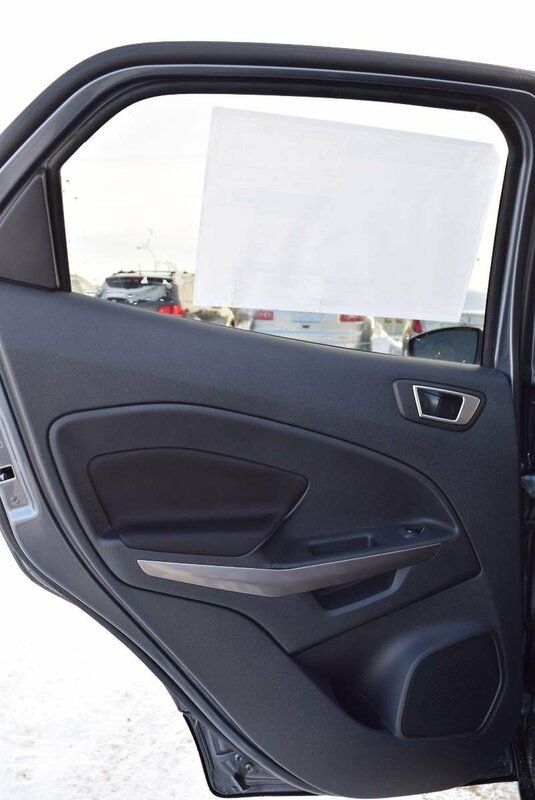 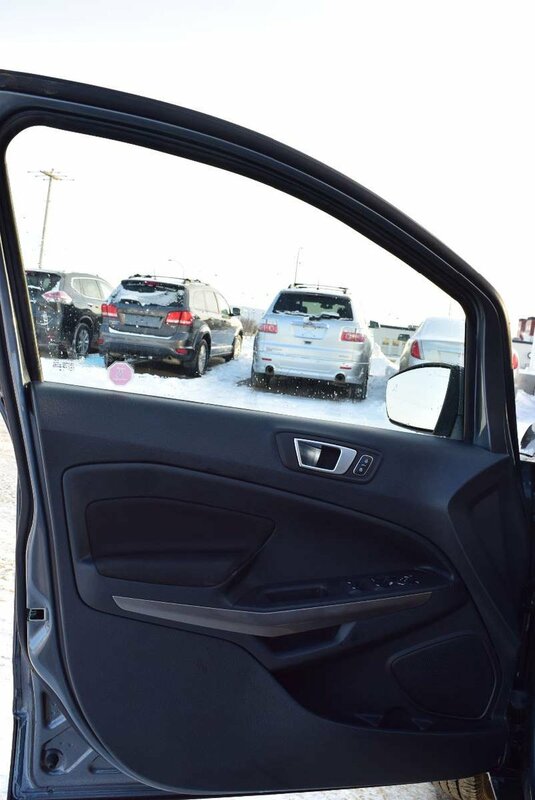 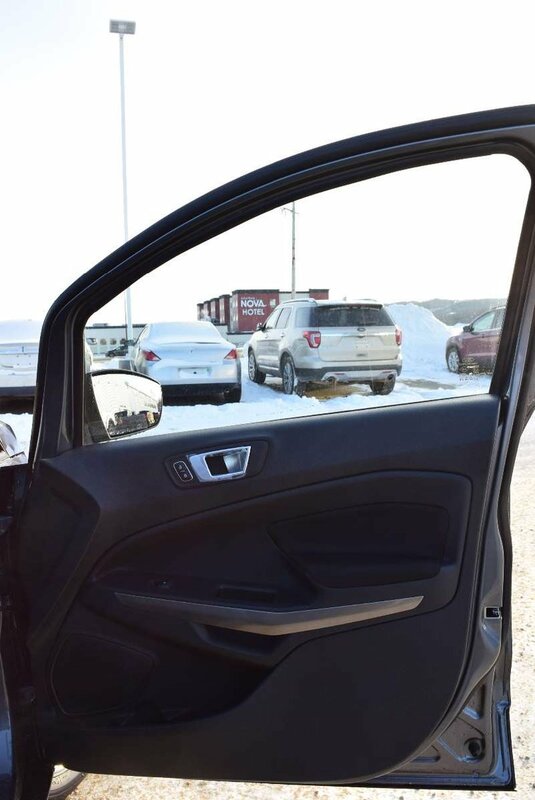 Control your music with your voice and enjoy the high-quality Audio system, add in keyless entry, a 60/40 split rear seat for easy loading, and fully opening doors for your passengers and see that these are thoughtful touches that will make our EcoSport a great addition to your daily lifestyle.